Scars was one of those many books patiently sitting on my bookshelf for God knows how long. But, oh am I happy that I got the chance to finally experience the world within its 248 pages. When you first take a good look at this novel, right off the back the cover shows an extremely vulnerable situation. 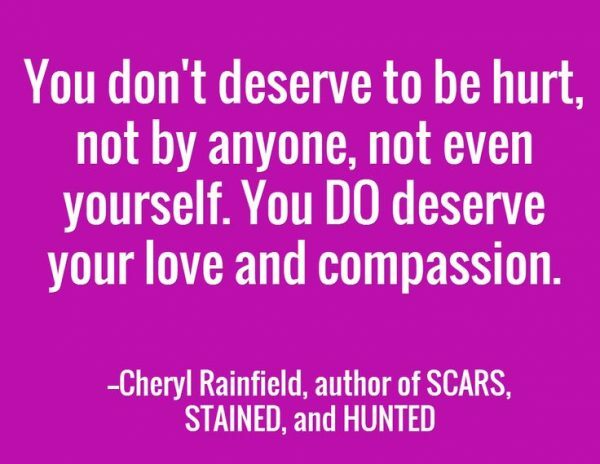 Self-harm, of any kind, is not an easy topic for those who endured it to discuss, let alone for one to write about, and for that alone I admire Cheryl Rainfield for approaching the topic so delicately and authentically. 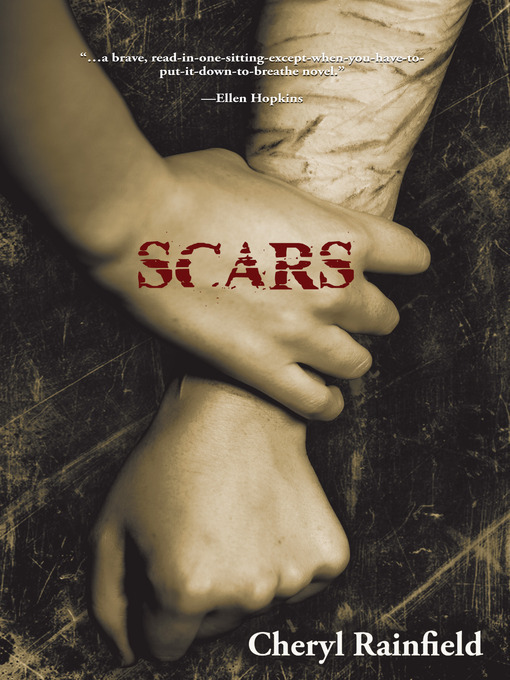 Scars follows Kendra, a teenager in high school who is seamlessly drowning her own pains of sexual abuse within the hands of a knife. She’s self-harmed for years and years and she knows no other way of protecting herself from the unbearable pain of being continually raped at a young age. To make matters worse, Kendra cannot remember who her abuser was. This short, yet passionate young adult novel handles extremely heavy and sensitive issues with such a softness and care that truly brought tears to my eyes. It tells a sincere story of a young woman, with dreams of a life beyond intense psychological pain, whose many gifts, notably painting and drawing, help provide her a safe and healthier escape from her demons. Scars is not for the closed-hearted, nor is it for those who have an unwelcoming bias towards those who struggle with self and sexual identity, and mental torment. Though my choosing of it upon my bookshelf was 100% random, I am so glad this book was brought into my hands, and, as cheesy as it may sound, my heart. The characters are beautifully developed and relatable, even if the reader themself doesn’t struggle with the same issues mentioned and discussed. I believe that is one way you know that you have a literary treasure in front of you: when you dread turning the last page because it means the story is over, yet tenderly smile knowing that the characters you’ve known to love have left a lovely, heartfelt mark on you. Simply put, Scars is a story that is not to be ignored. It is a story that, I strongly believe, can change lives.